In 2015, on the afternoon of Election Day, Benjamin Netanyahu warned on Facebook that Arab voters were “streaming in great numbers to the polls, bused in by left-wing NGOs.” No evidence was ever produced showing that any Arabs relied on Jewish left-wingers to transport them to their polling places, but the prime minister’s cry of “gevalt” did rouse previously apathetic right-wing Jewish voters from their easy chairs. 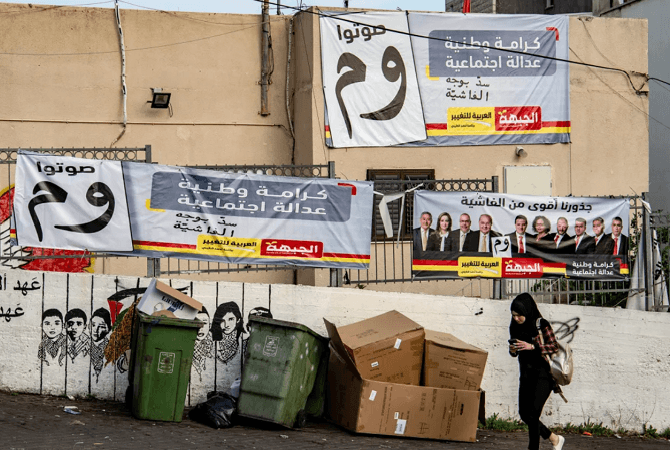 Could Israel’s Arabs gain some kind of payback and be the kingmakers of the 2019 election? (MK Ayman Odeh promised to do as much last December when the snap election was called and he declared that “Yes, Netanyahu, we the Arab citizens will flock to the polls in droves”). This is a question much debated in recent weeks, as the lead in the polls swings back and forth between Netanyahu’s Likud and Benny Gantz’s Kahol Lavan — and, more importantly, between the two electoral blocs on the right and center-left. In purely numerical terms, Israeli Arabs make up enough of the electorate — about 17 percent, equivalent to slightly more than 20 seats in the 120-seat Knesset — that if they turn out en masse this year, their vote could push Gantz’s presumed bloc over the top on April 9. On the other hand, if they sit out the election in larger than usual numbers, it’s likely to be the right-wing bloc led by Netanyahu that will benefit. Of course, not all Arabs vote on sectoral lines: In the past there has always been a certain percentage that, for reasons of local or personal politics, has voted for other parties — even the far-right Zionist party Yisrael Beiteinu, whose leader, Avigdor Lieberman, constantly incites against them. Others support Jewish parties that are left of center. In recent decades, though, the vast majority have cast their votes for an Arab party. Less predictable than whom Arab citizens vote for is what fraction of them vote at all. Last time around, some 63 percent of the Arab electorate turned out (when the overall voting rate was 72 percent), compared with 54 percent just two years earlier (versus nearly 62 percent for the general population). Some 80 percent of them cast ballots for the newfangled Joint List, an alliance of four different Arab parties. Four years on, the Joint List has split into two separate slates: Hadash-Ta’al and Balad-United Arab List. And the latest polls show that the turnout in the Arab community could dip as low as 50 percent. 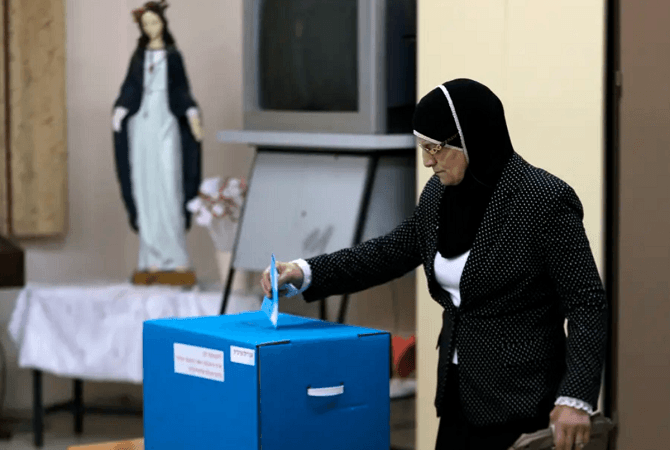 Late last week, Jack Khoury reported that the proportion of Arabs saying that they intend to vote on April 9 had dropped by 19 percent from the 2015 figure. He was citing a new poll conducted by Dr. Aas Atrash at the Yaffa Institute, for Hadash-Ta’al. Yousef Makladeh, CEO of the Statnet research institute, reports similar results. He tells Haaretz that the drop in Arab participation — which he sees falling to 54-55 percent — could be equivalent to nearly two and a half Knesset seats, with nearly all of the benefit going to the center-right bloc. “If this rate stays or goes lower, there’s a good chance that one of the Arab parties will disappear altogether,” he predicts. That’s because the electoral threshold of 3.25 percent (the proportion of the vote required for a party simply to enter the Knesset) requires that it win a minimum of four seats, Right now, polling commonly shows Balad-United Arab List (the alliance between a Palestinian nationalist party and an Islamic one) falling below that level. What lies behind this outbreak of apparent voter apathy? First, it’s likely that the anticipated drop is more of a cri de coeur among Arab Israelis than an indication of apathy. A poll conducted by the Abraham Fund Initiatives as recently as January, for example, revealed an engaged electorate. Then, nearly two-thirds (64 percent) of the Arab public supported Arab parties participating in a government coalition, whatever its political slant. Fully 80 percent were in favor of the Arab parties offering support from outside (that is, as part of a blocking majority) for a government led by one of the Zionist parties if it came with assurances of funding for development projects in Arab society. The problem, from the Arab perspective, is that the feeling does not seem to be mutual. 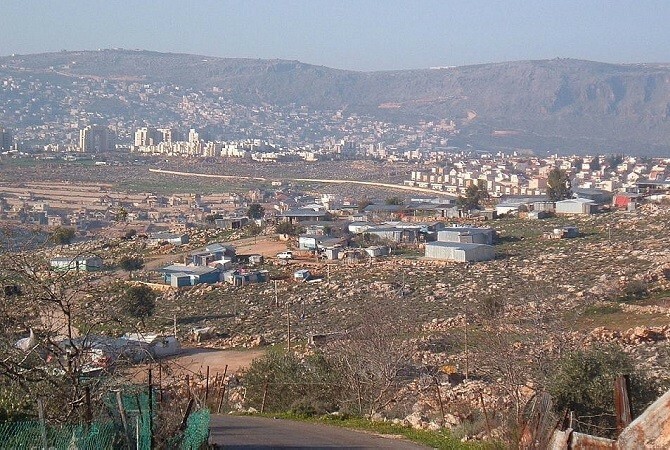 True, the Netanyahu government adopted and is implementing a plan to invest some 10 billion shekels ($2.75 billion) in needed infrastructure, law enforcement and other basic services in Arab towns — the most generous such plan ever initiated here. But members of the same government, following the lead of the prime minister himself, have also vocally questioned the loyalty and very rights of the 20 percent of Israel’s population that is non-Jewish. The most dramatic expression of this was last summer’s passage of the nation-state law, which, though mainly declarative in content, made explicit the second-rate nature of Arab citizenship. Netanyahu’s diagnosis notwithstanding, neither Gantz nor Lapid has visibly solicited Arab support. In fact, both have gone out of their way to rule out the possibility of inviting an Arab party to join their potential coalition. They may be assuming that the two Arab alliances will automatically recommend Kahol Lavan to President Reuven Rivlin if theirs is the largest party — although Odeh, the chairman of Hadash-Ta’al, has said that such support would be contingent on certain conditions being fulfilled. Dina Kraft wrote last week about an apparent trend among young Arabs to boycott the election, on principle. In an unpublished interview, journalist and political activist Aleef Sabbagh told Kraft he hasn’t voted for two decades and tries to persuade others to abstain as well. He believes neither Zionist bloc is deserving of his support. What Sabbagh would ultimately like to see is for Israel’s Arab citizens to have self-rule by way of a “national body that will lead and be responsible for Arab Israelis,” after which they can then “join with Zionist parties in fighting fascism.” In the meantime, he urges his fellow Arabs not to take part in the political process. Ghada Zoabi, founder and owner of the Nazareth-based Arabic-language news portal Bokra, understands this impulse but is determined to fight it. In a recent online poll, her website, which says it attracts 850,000 readers daily, found that 42 percent of respondents did not intend to vote next week. But she’s disappointed that so many of them seem determined to boycott the election. If Sabbagh’s call for a boycott reflects the “A pox on both your houses” attitude vis-à-vis the Zionist parties, Zoabi attributes much of the current Arab antipathy to the disbanding of the Joint List. 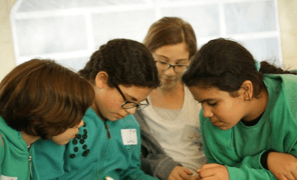 Mohammad Darawshe, director of the Center for Equality and Shared Society at Givat Haviva, points to a number of other well-known figures in Israeli-Arab society who have also expressed their intention not to vote next week. These include the journalist Saher Alhaj, and Ali Salam and Morsi Abu Mukh, the mayors of Nazareth and Baka al-Garbiyeh, respectively. These are all people, he says, who as recently as a month ago were encouraging people to vote but are now in favor of a boycott. 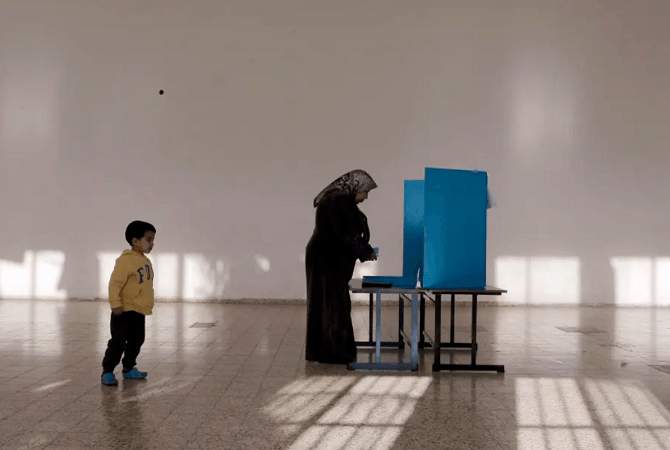 He points out that just five months ago, when municipal elections were held across Israel, the voting rate in Arab towns was 85 percent (compared with 60 percent nationally). “We need to do that in national elections,” stresses Darawshe, noting that this is not the behavior of a people who are civically unengaged. The collapse of the Joint List followed the decision by Ahmad Tibi’s Ta’al party to quit after being unable to agree on the placement of its candidates on the Joint List slate. It was a blow to the entire Arab community. When one considers partisan splintering alongside the combination of the nation-state law and the unwillingness of “center-left” candidate Gantz even to pay lip service to the Arab public (several prominent members of the community told me they could understand the political considerations that kept Gantz from appealing to them directly, but that he could still have signaled his good intentions by general statements about the equality of all Israeli citizens), it’s not so hard to understand why many voters intend to stay home. Even so, Makladeh reports that the percentage of Arabs voting for “Zionist” parties this year is expected to rise. 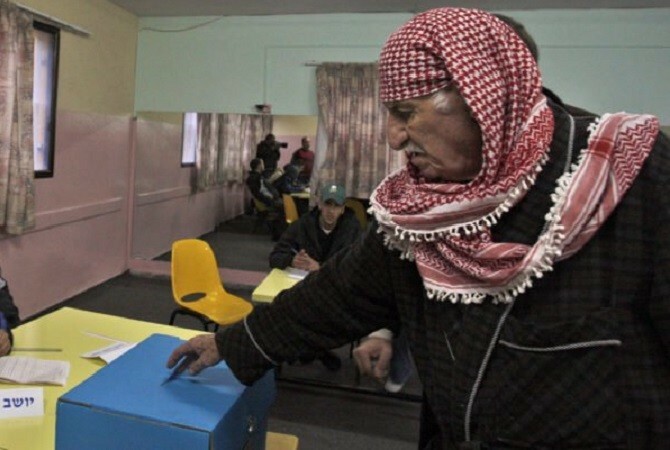 Thabat Abu Rass also notes that, for the first time in 20 years, he has not witnessed any civil society organizations, whether Arab or Jewish, running “get out the vote” campaigns among the Arab electorate. He points to a few practical reasons for that: The snap nature of the election, which was only called in late December. Also, nongovernmental organizations are prohibited from participating in partisan activity and, until a month ago, when there was only one Arab party running, encouraging people to vote for it could have been perceived as an endorsement of the Joint List. Nonprofits involved in civil society issues are already on the defensive in Israel these days, so are reluctant to take risks, he says. Netanyahu’s antipathy is not a shock, adds Abu Rass, “but the surprise for Arab voters is Gantz and the Kahol Lavan party.” Nonetheless, in mid-March at least, Makladeh’s polling predicted that between 80,000 and 85,000 Arabs — “Muslim, Christian, Druze” — would vote for Kahol Lavan. In total, he forecast that some 30 percent of Arab voters will vote for Jewish parties this year (including the left-wing Meretz party, which has two Arab candidates, MK Esawi Freij and Ali Salalha, in its top five) compared with 18 percent in 2015. Makladeh even predicted Arab support for Likud being equivalent to one extra MK for the party. If there is a silver lining to be found in the growing disaffection between Arab voters and the existing electoral choices they have, it could be the sense that the time has come for a real Arab-Jewish party in Israel — one in which democratic-minded members of both groups, with all their differences, join forces.